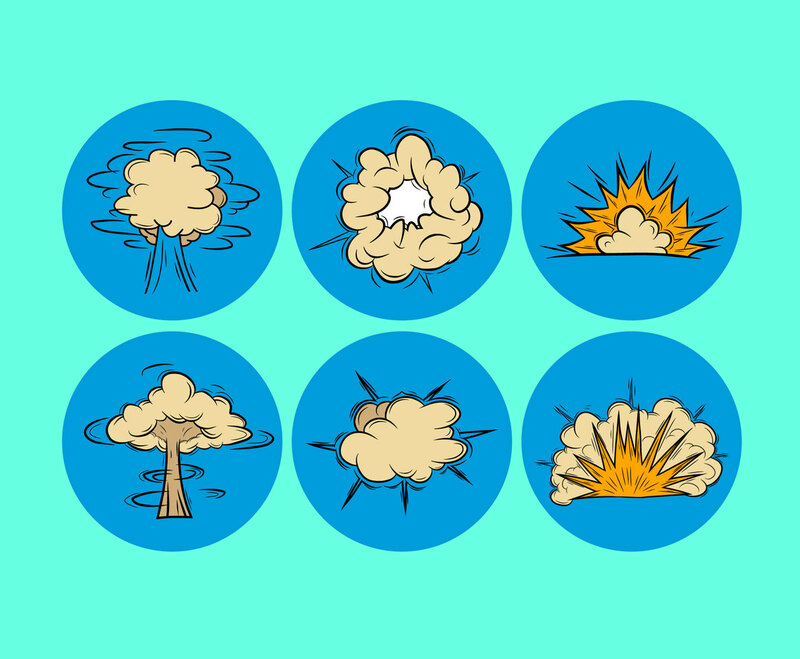 This vector set contains several types of nuclear blast illustration that you can choose. It will be nice as shape element in your comic, or story board that needs explosive effect, nuclear bomb, or any war related kind of illustration. The set is free to download!